Meeting and conference planners know this cold truth: the post-speech attendee buzz about your keynote speaker can either make or break the whole event. 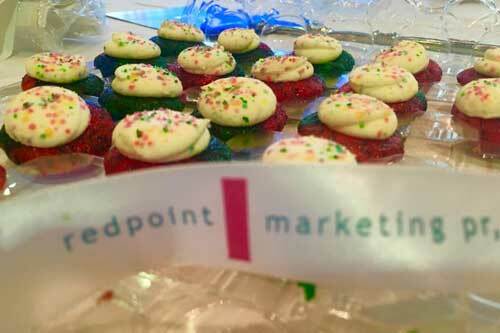 And with Redpoint, that buzz is guaranteed to be positive. Agency Principal Christina Miranda energizes audiences of all sizes with humor, intelligence, and inspiration. She collaborates in advance with meeting organizers to craft the ideal topic, researches the audience to ensure content is on point, and always slips in a fun surprise (or two). Fair warning: she’s not the podium-and-stationary-mic type. Give her a lav mic and let her roam…she’ll even hop off the stage and walk around the audience, delivering treats, hugs, and high-fives when warranted. Redpoint keynotes are created from scratch, and tailored to the audiences of each conference. Browse some of Chris’ recent keynote appearances below, and if you want her to sprinkle her magic fairy dust over your own meeting, you can inquire here. For inspiration on topics, see our training workshops, any of which can be transformed into an engaging, interactive keynote address. This topic was filled with irony…the organizers of the NJTIA conference were facing a desensitized, longtime audience of attendees, and really wanted to cut through the noise and grab their attention at this conference. So they asked us “Could you bring one of your surprise concepts to our meeting?” You betcha, New Jersey. After interviewing committee members and several attendees willing to share their perspective about the conference, we knew that a slow build to a big ending surprise wasn’t a good fit…these attendees needed to be snapped to attention the moment we took the stage. Enter: The Redpoint House Band. Through a perfectly choreographed presentation with musical support from a band that shared the stage with Chris the entire time, this audience was treated to a message – and a show – they will never forget. Special thanks to Cape May Brewing Company for providing adult beverages to attendees. When the Maine Innkeepers Association and the Maine Restaurant Association were announcing their merger, they needed to mark the occasion with a memorable, inspirational, and inviting presentation. Two venerable organizations, both with their own habits and needs, coming together and blending their structure? That’s a major life event. Hmmm. Sounds like a marriage, right? So right in the middle of her speech about how to stay inspired in the demanding job of hospitality, Chris served them up a wedding cake, which was ceremoniously cut using audience volunteers from both the restaurant and innkeeping sides. Glasses of bubbly were delivered to every table, and the entire room toasted to their future “together.” Not gonna lie…there was a LOT of love at this particular Maine Hospitality Summit. This was a tough challenge. The organizers of the Ski Vermont annual conference were at the Vermont Tourism speech where we brought beer and a jazz band to the audience. And they loved it so much, they wanted beer and a jazz band for THEIR conference. The problem was…their conference was just two months later and a few towns over, and had many of the same attendees. And a surprise loses its power when it’s not, y’know, a “surprise.” So we needed a bit of crafty ingenuity to create the same level of magic using different surprises. Our solution? Collaborate with Vermont-based Ben & Jerry’s to create a special ice cream flavor, JUST for Ski Vermont, and available ONLY at this conference. We appropriately called it “Vermont Powder,” and it was topped with dark chocolate ski boots and snowboards from Lake Champlain Chocolates. And then, we wrote a song about it, had the Hot Sardines record it, and played the video while attendees savored their exclusive ice cream. The result? Standing ovation. Awwww. Ski people are adorable. HNL wanted to open its annual conference with a big splash…something memorable that would inspire attendees to embrace the importance of warm hospitality, exceeding guest expectations, and making a lasting impression on visitors. We rose to the occasion with a sweet surprise by showing up with 875 colorful Newfoundland-inspired cupcakes in tow, which were delivered to the entire audience during the speech. The hilarious story of what it took to shepherd 875 cupcakes 1,500 miles, through international customs, and three airports…and have them arrive fresh and intact at 2am… made for a delicious and inspirational anchor to illustrate the keynote’s overall message. We’re grateful for our co-conspirators WestJet and Baked by Melissa, who helped make this feat possible. 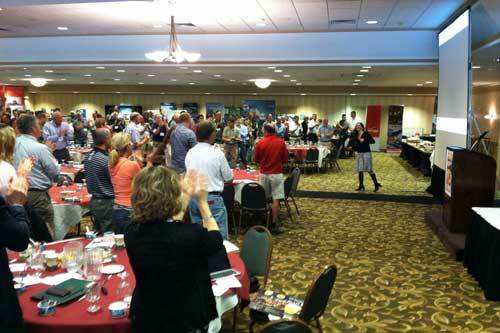 Organizers wanted to revitalize this decades-old Vermont Tourism conference with a fresh, vibrant energy. So they asked us to “jazz things up” in our opening keynote address, and Redpoint being Redpoint…we took that instruction to heart. 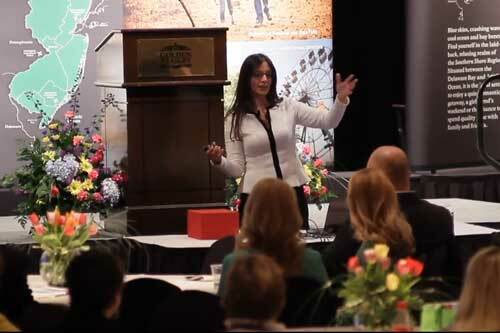 The educational speech discussed how to leverage surprises to make connections with people, and it was punctuated by continual surprises delivered to the audience throughout the presentation...from beer to flavored pretzels to Mardi Gras accessories and more. And then, the coup de grace: a seven-piece New Orleans style jazz band paraded in from the back and turned the entire room into a party. Mission accomplished. 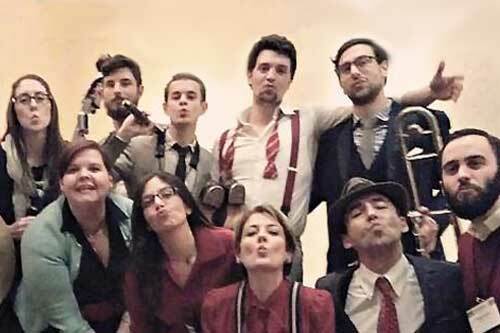 Special thanks to Von Trapp Brewery, Ditsler’s Pretzels, and of course, our besties The Hot Sardines. 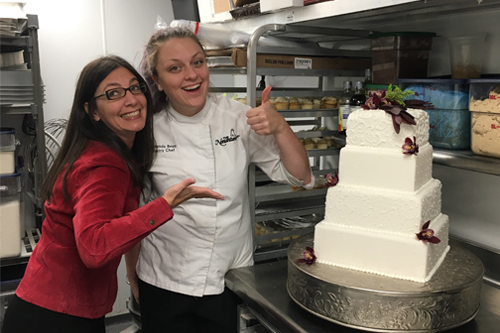 The executives at NEIRA wanted to underscore the importance of personalized service and attention to detail for their members, a group of 250+ leading innkeepers and hoteliers in New England. And when they asked us to educate on this message, we kind of felt like we were preaching to the choir: these are the BEST of the BEST. How on earth could we make this point – memorably – to folks who set the bar on guest service? Well, we called our AMAZING friends at Long Trail Brewing Company and cajoled them into making an exclusive brew for NEIRA. 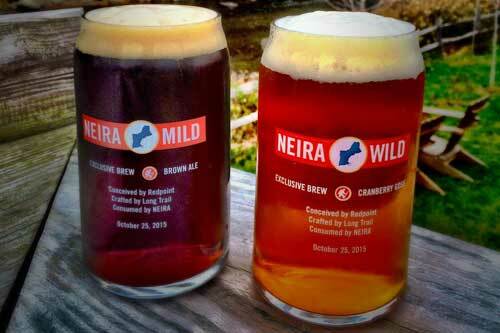 This tasty, nine-month research and development effort resulted in the debut of NEIRA Mild and NEIRA Wild at the keynote address…the latter of which went on to be introduced into Long Trail’s retail offerings as Cranberry Gose. We capped off the joy by giving away NEIRA Mild & NEIRA Wild logoed beer glasses and a variety of logoed hats out to the audience. Why hats? Because innkeepers wear a lot of hats…duh. Watch how we made the beer here.